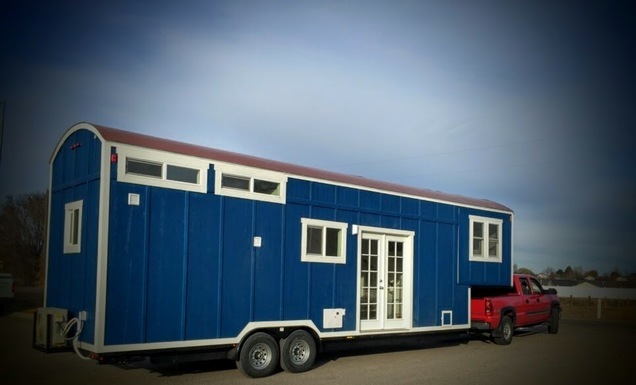 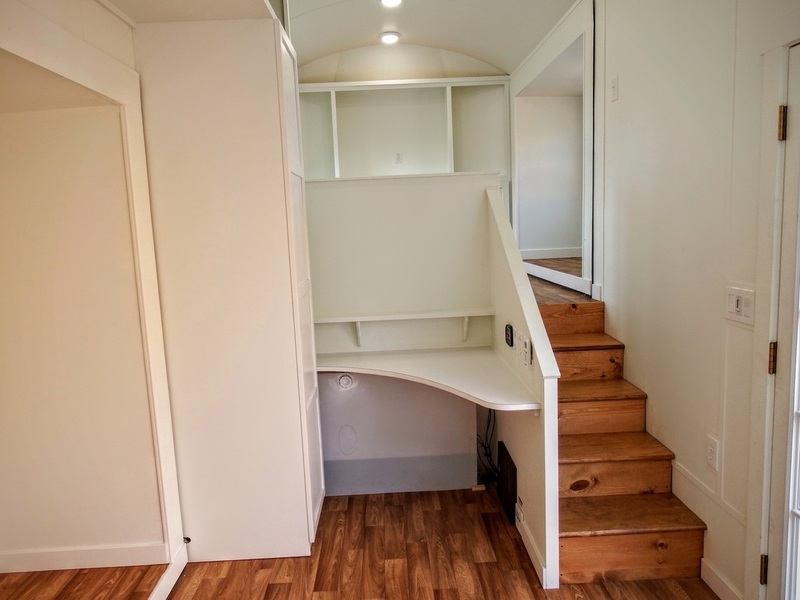 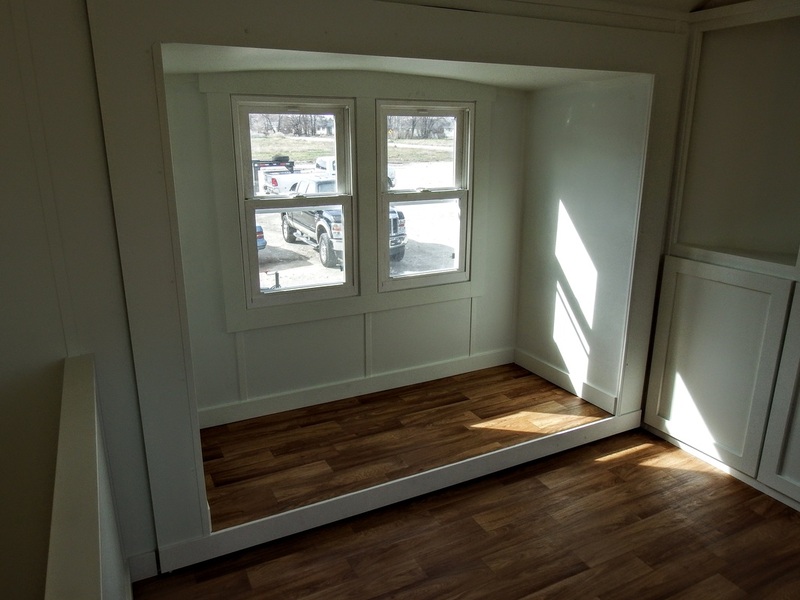 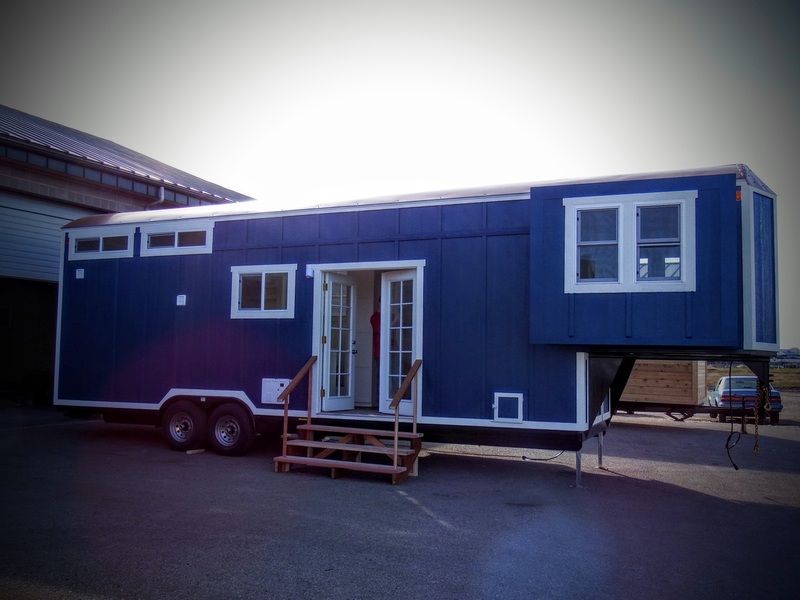 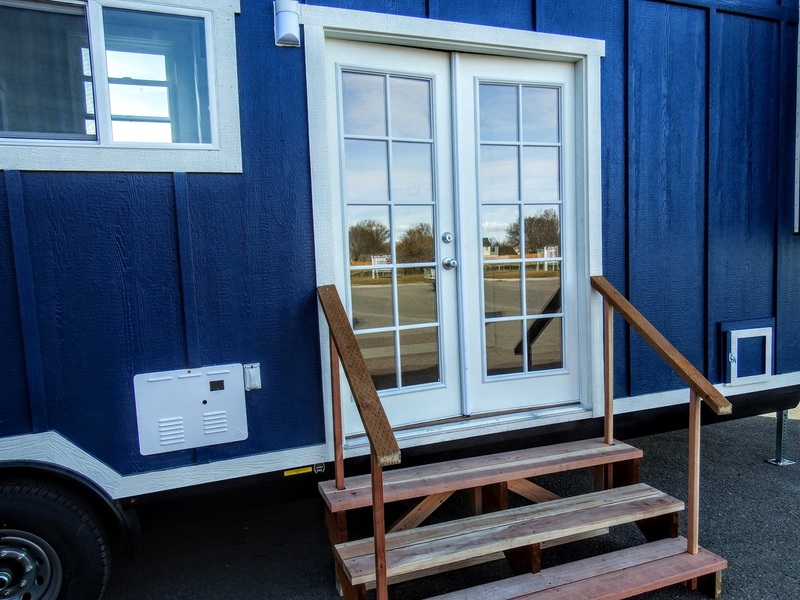 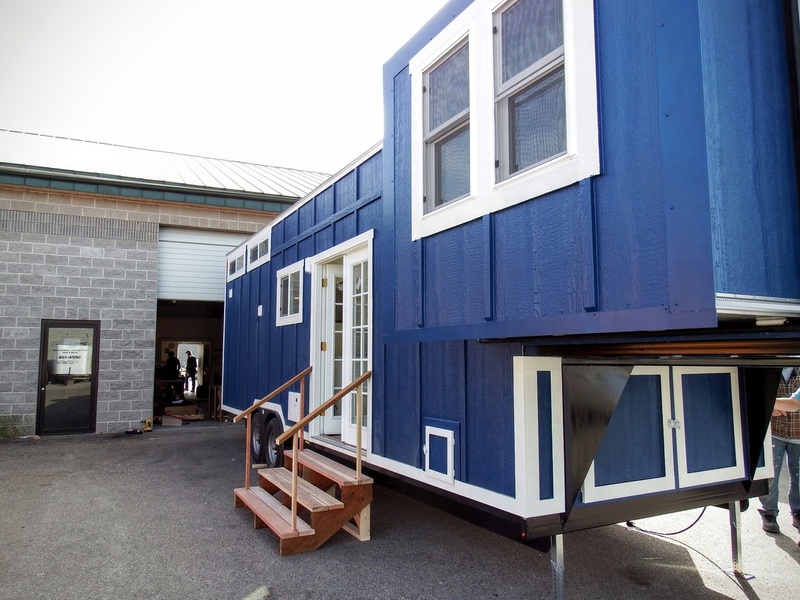 Named the “Carpathian”, this big, blue tiny house on wheels was built by Tiny Idahomes of Nampa, Idaho. 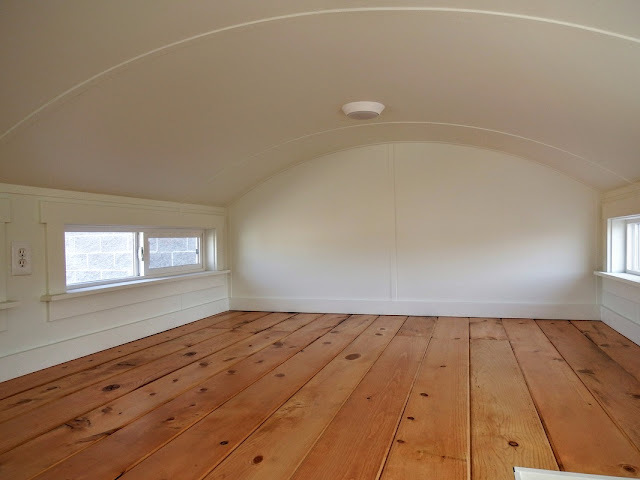 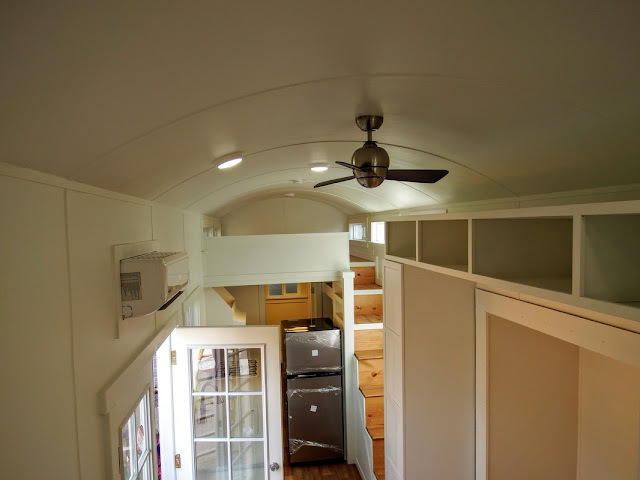 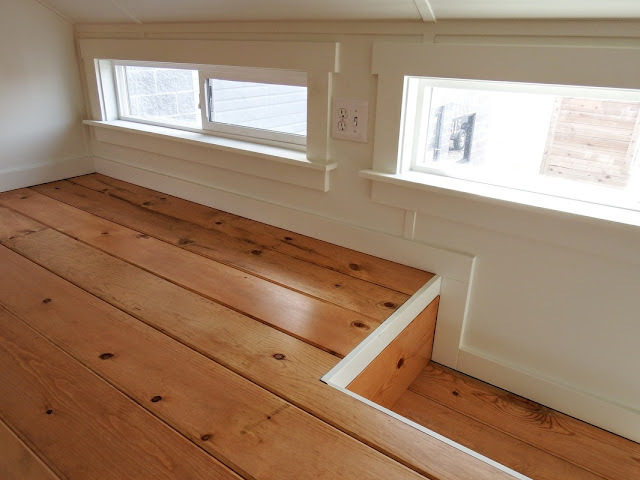 The home was built on a 35 ft trailer and has an interior size of about 320 sq ft. 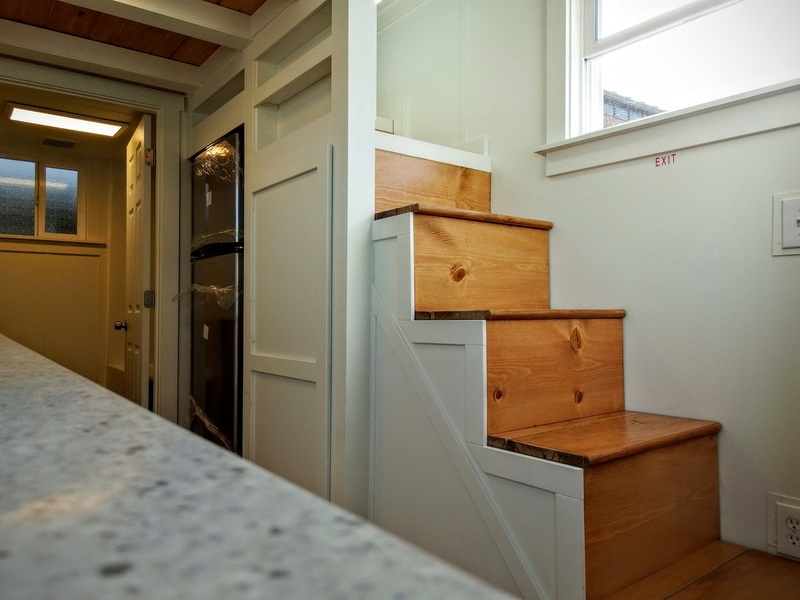 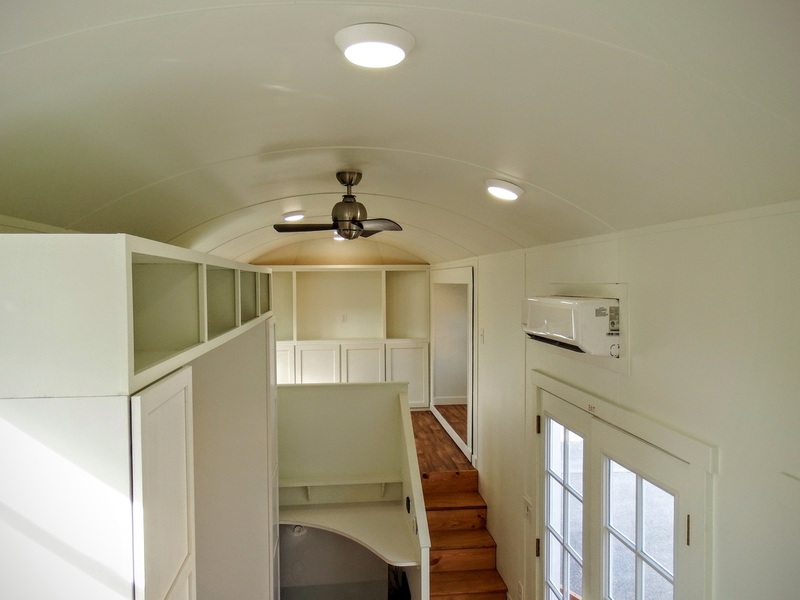 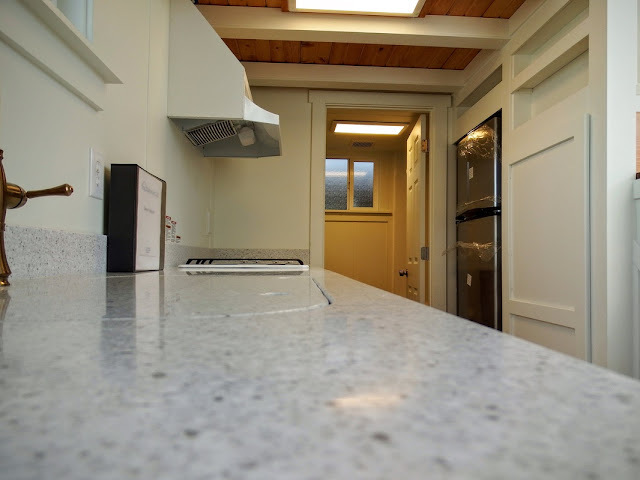 The Carpathian is made with painted Smart Siding, an aluminum roof, and a white paintable plywood interior. 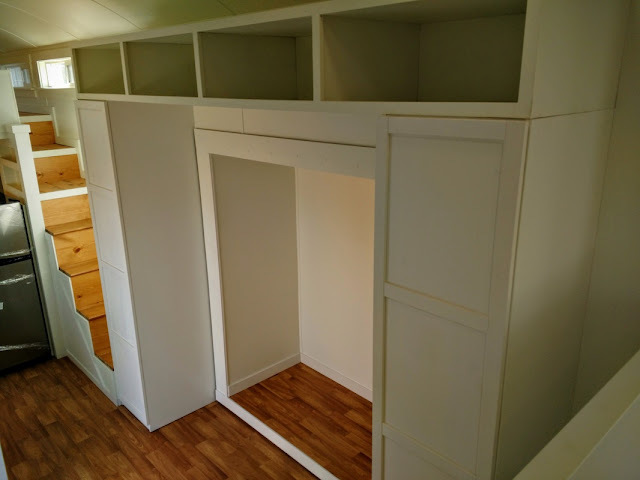 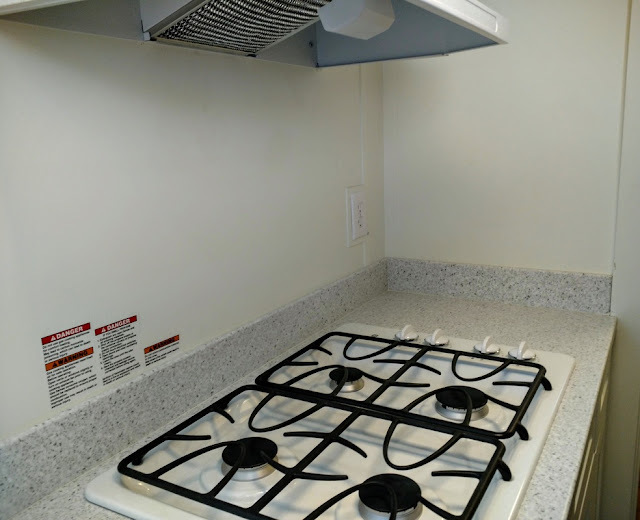 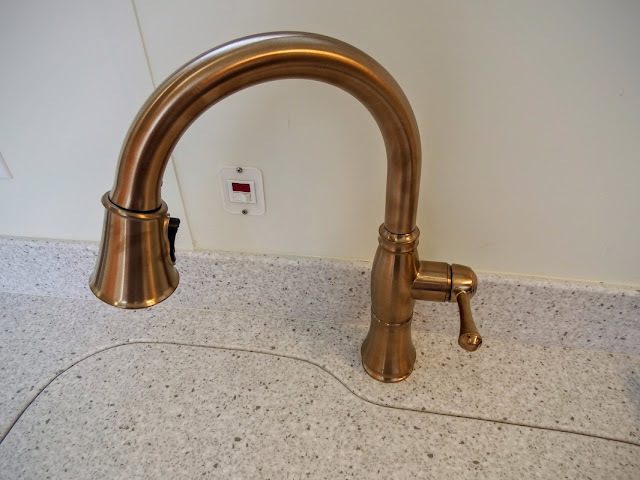 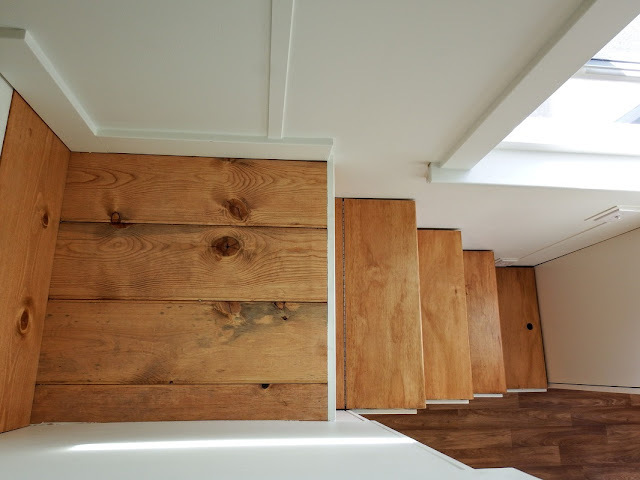 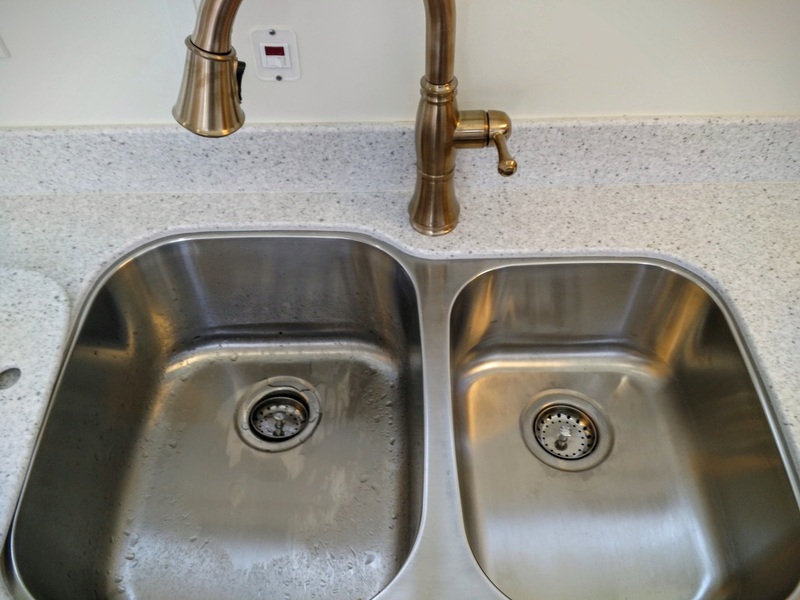 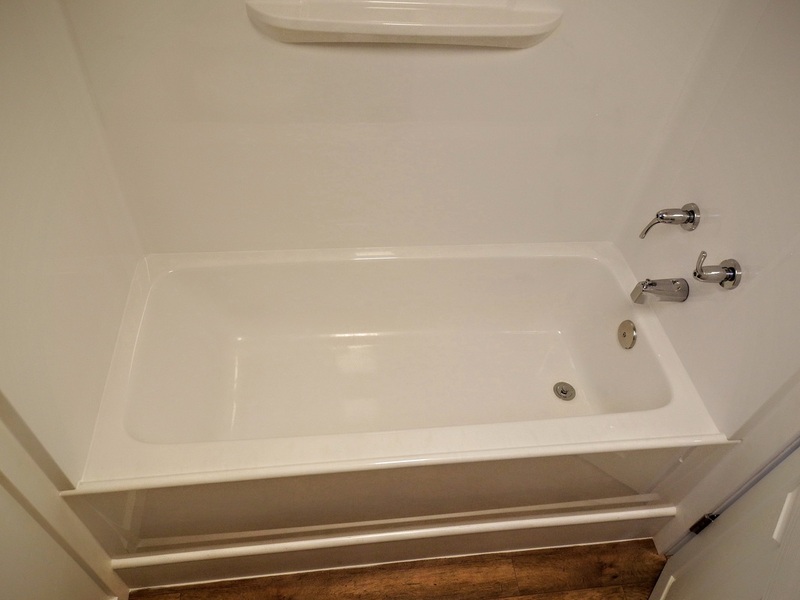 Its layout includes a full kitchen outfitted with IKEA cabinets, a full bathroom, a loft bedroom, and a small work space. 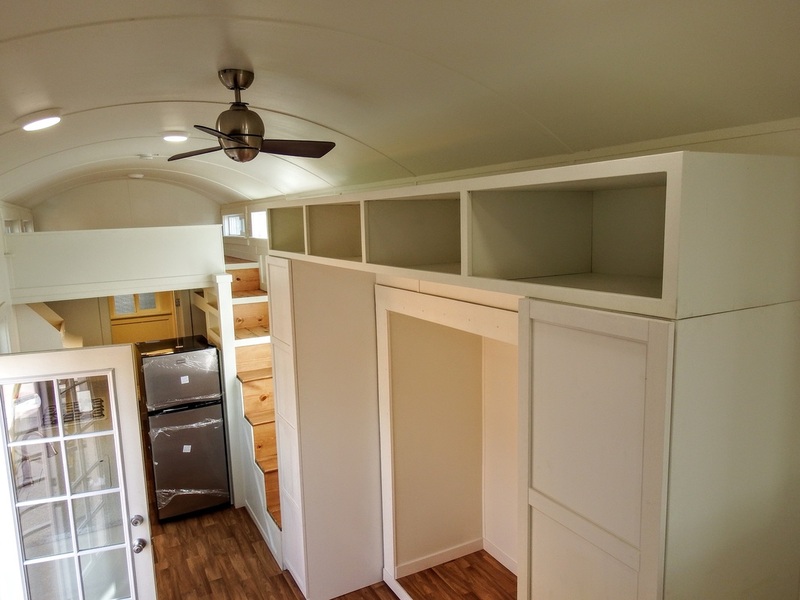 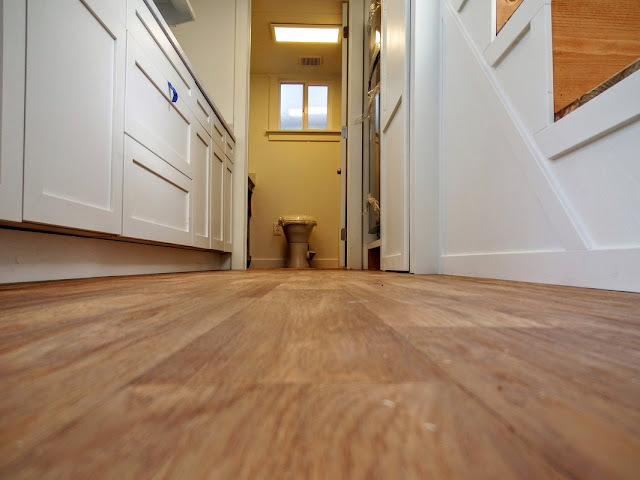 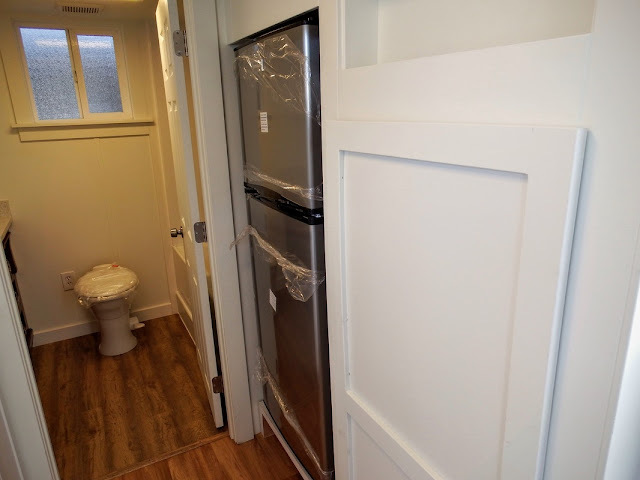 There's also plenty of shelving and storage throughout the home! 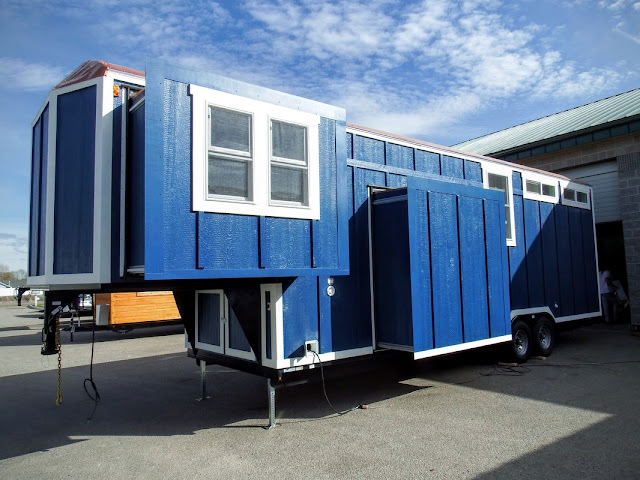 It was built and sold for $63,000.